You have likely seen many examples of the Impossible Card on various social media platforms. It is a fun, quick, mind-bending card that can be altered for any occasion. 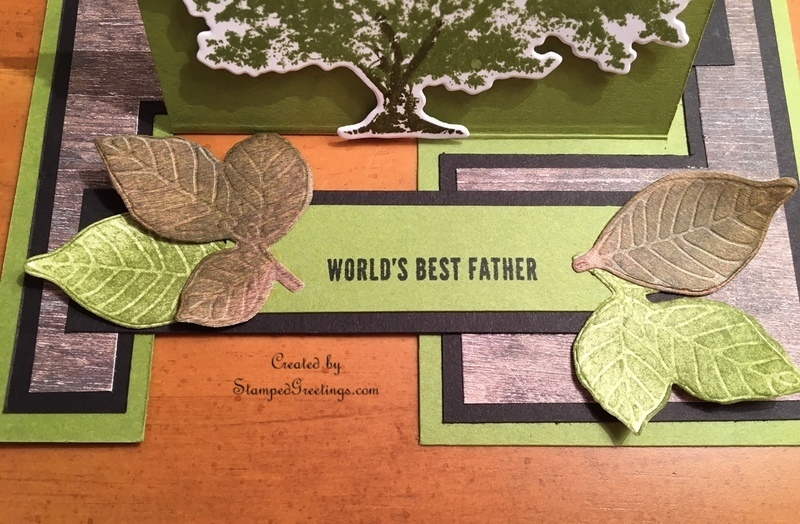 This past Sunday afternoon, our card club had a great time making the Father’s Day card pictured below. In my next post, I will give step-by-step instructions and measurements for this card. It is much easier than it may look. One of the bundles that really caught my eye in the new catalog is called Rooted in Nature. 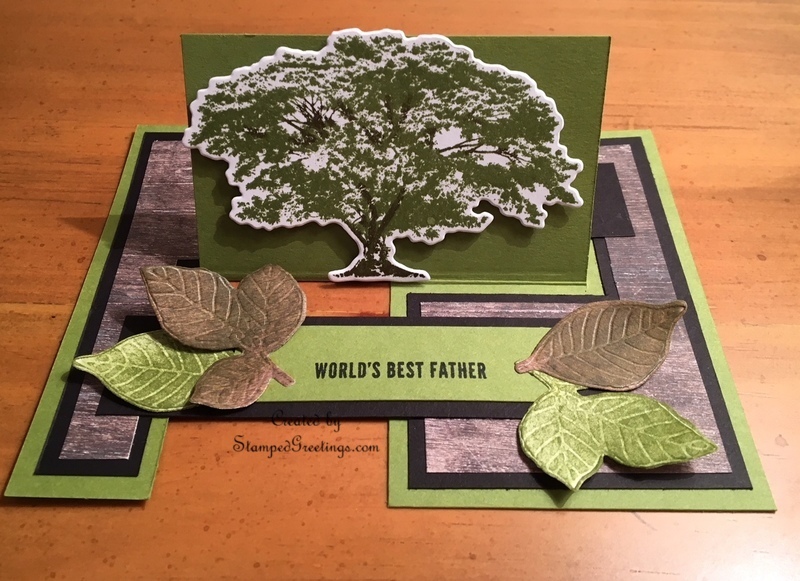 It is a collection of gorgeous, nature focused stamps and corresponding dies that help you create year-round cards for all occasions and anyone on your card giving list. Some of the stamps were inspired by an incredibly popular Stampin’ Up! 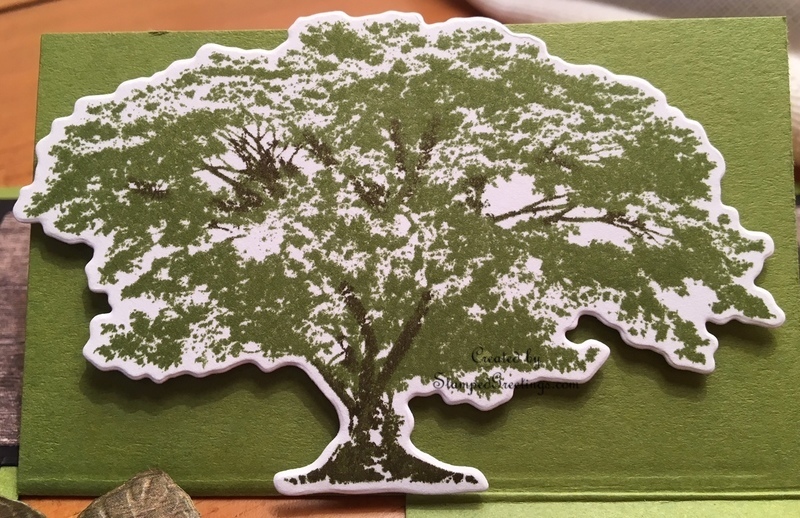 stamp set called Lovely as a Tree. Did you know that Lovely as a Tree is the longest running, currently available stamp set? We used the large tree as a focal point for our Impossible Card. In the picture below, you’ll see that two colors have been added and include highlights of branches among the leaves. I’ll give you tips on how I created that look in my next post. Some of the dies in the bundle are embossing dies. They don’t cut through your cardstock. 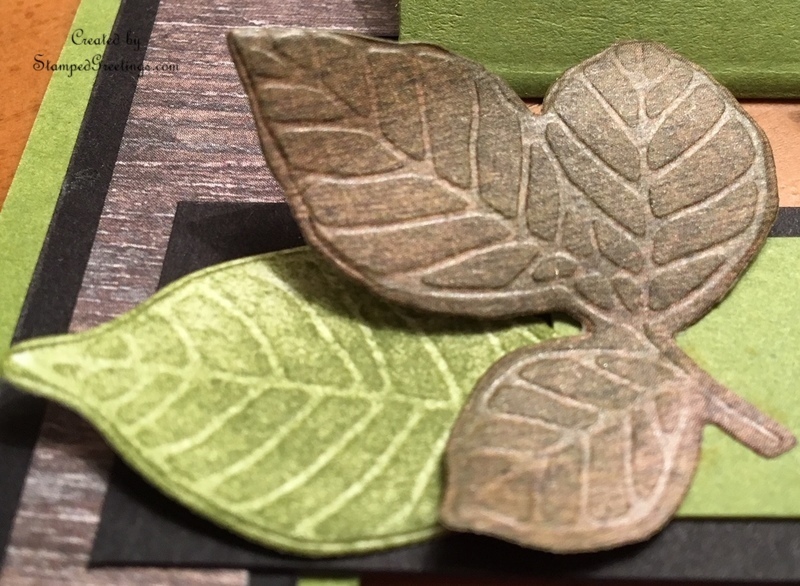 Rather, they emboss pretty leaves onto your cardstock. Additional cutting dies allow you to cut the leaves and add them to your projects. We finished the leaves shown below by sponging on Old Olive ink. The overall impact of this card is just plain fun. 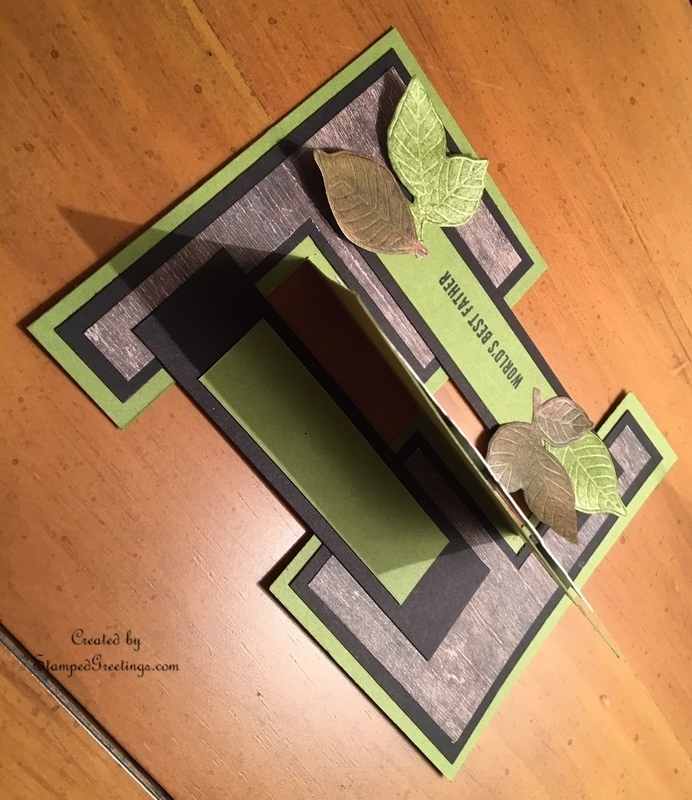 Check back to get the details on how to make this card and how to customize it for your needs. In the meantime, check out the main products that I used to make this card. Click on any product pictured below, and you’ll go to my on-line store. Lovely Floral Dynamic EF – More Amazing Cards! 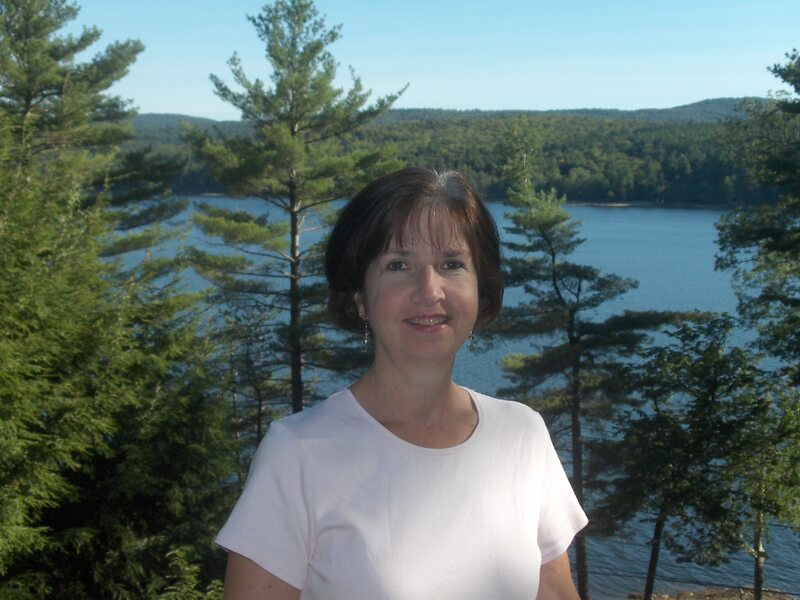 Layering Alphabet Edgelits Dies – AMAZING New Product!